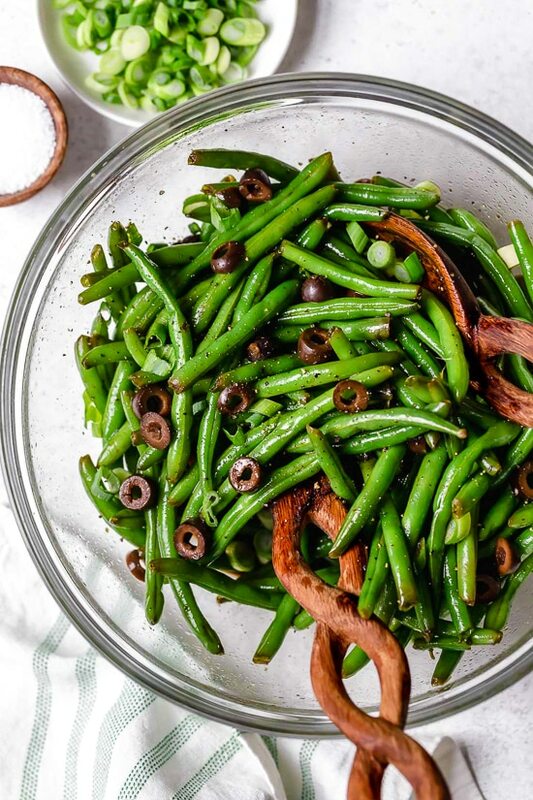 Trimming the beans yourself will save money, to do this quickly gather the beans in a small pile, lining up the tips on one side then cut the tips off with a single slice using a large chef’s knife. 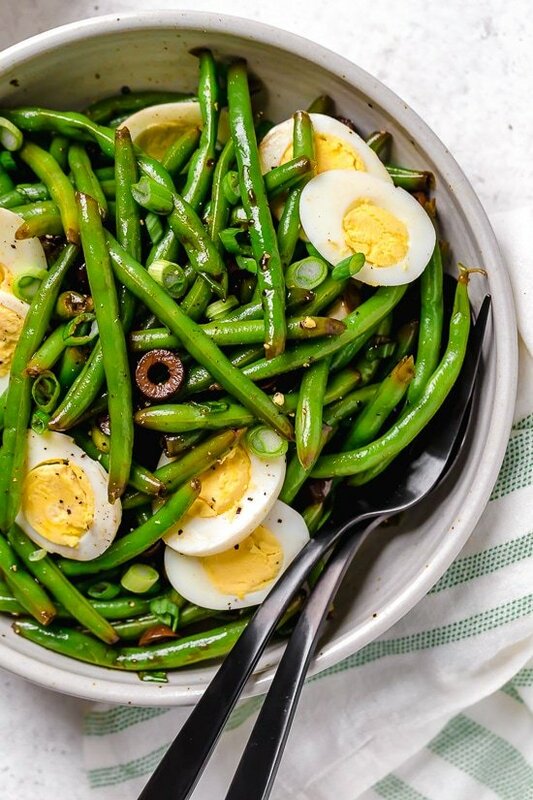 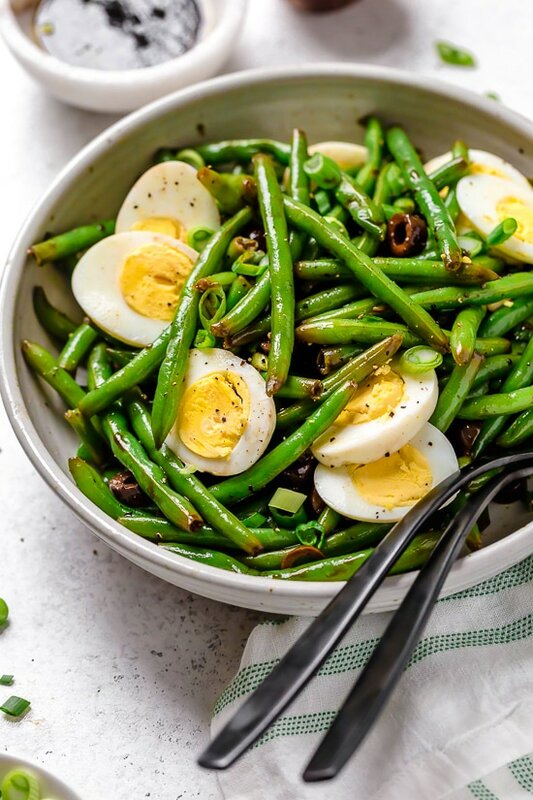 Flip the pile over and do the same on the other side.To save time, you can buy pre-cut, pre-washed green beans.To make easy-to-peal hard boiled eggs, I always use my Instant Pot.Since the ingredients are simple, using a great tasting extra virgin olive oil and a good quality balsamic vinegar makes the salad! 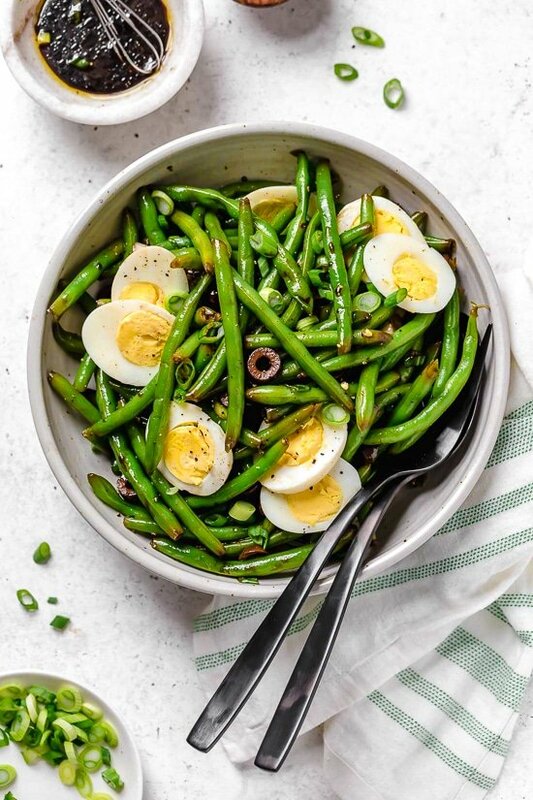 Place green beans in a large pot and cover with water, about 6 cups. 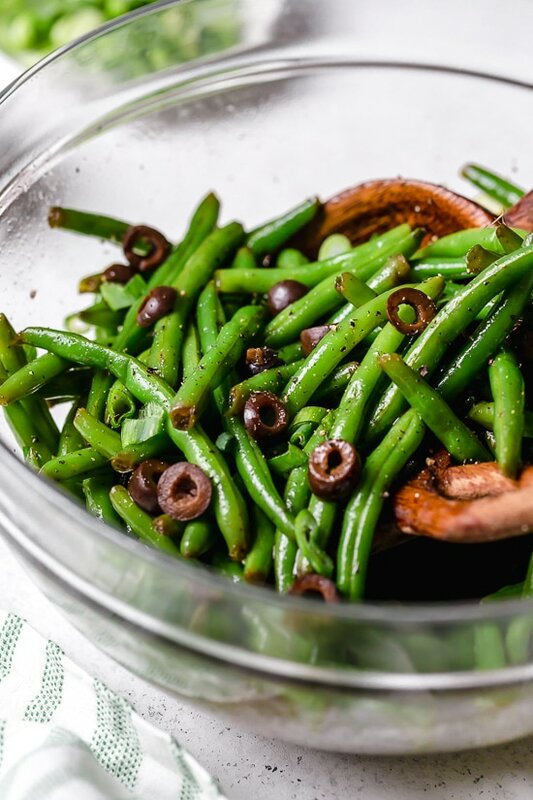 Bring to a boil, then cover and cook until tender crisp, about 6 minutes (don’t overcook or they will get mushy).Drain and rinse under cold water when done to prevent them from overcooking, drain.In a large bowl, combine balsamic, oil, salt and pepper. 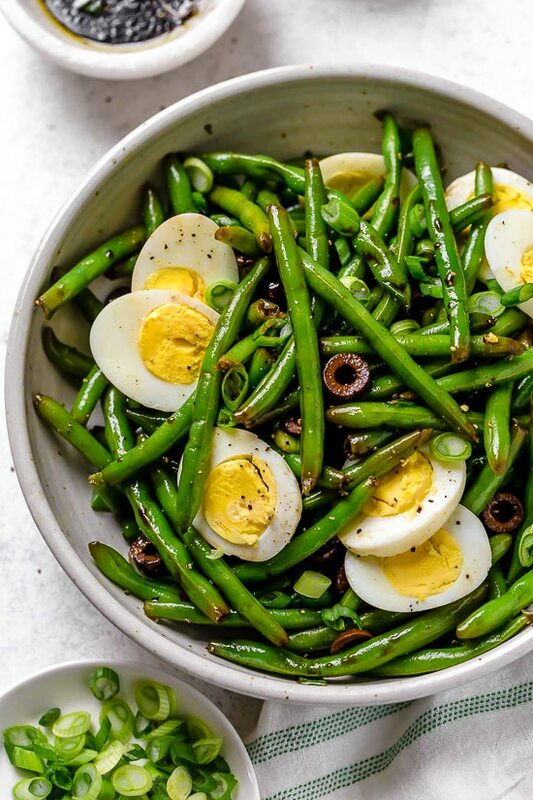 Toss in the green beans, scallions and olives.